HVAC units are often installed on flat commercial roofs. Properly maintaining the HVAC system is crucial, and it’s particularly important during winter. One off the main reasons that winter maintenance on HVAC systems is so necessary during this time of year is that it keeps a building comfortable, besides safe. It also ensures that the unit is performing properly so that the warranty is maintained. 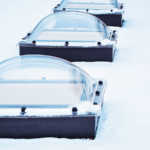 What’s more, HVAC winter maintenance helps in reducing energy bills. Furthermore, it protects the HVAC system as well as saves you from expensive repair costs because problems are discovered and repaired before they get worse. When you give your HVAC unit the proper winter care it needs, it will last longer. Here are some basic guidelines for maintaining your HVAC unit during winter. 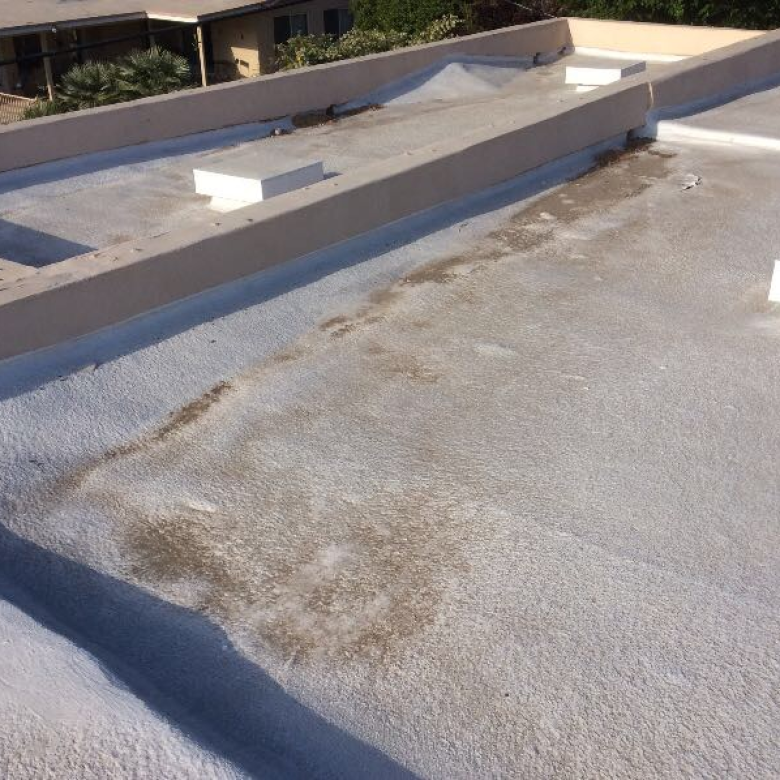 Condensation often occurs on HVAC systems that are installed on flat commercial roofs. 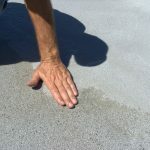 When condensation is released on a flat roof, ponding water, also known as standing water, can result, which causes severe damage. Ponding water, which is rainwater that fails to evaporate after 48 hours following rainfall, is a common problem on flat commercial roofs. However, at RoofSlope, we have an exceptional product that treats low spots on flat roofs so that ponding doesn’t occur. Moisture from melting snow can lead to airborne debris, which results in problems, including vegetation and mold growing, which leads to ugly stains. Even worse, it can cause a roofing membrane to deteriorate. Damage can occur from the flashing not being sealed well. When this happens, water can get into the substructure, leading to rot, leakage and mold. Change the filter at least every other month as this can help in ensuring that your gas furnace is more efficient. Filter changing is especially critical during cold months when your unit is used more. Keep in mind that dust can be trapped in an air filter, which is not visible. Lubricate the fan motor. You should do this at least once a year. The best time to add lubrication is just before your unit will be used the most. If you have an oil-powered unit, consider hiring a professional who can thoroughly clean the flue and jets, besides change the fuel filter. Inspect controls and tighten any loose electrical connections. When connections aren’t tightened, your unit cannot work properly, or it may short out, which can weaken your unit and affect its lifespan. Keep a regular maintenance schedule, recording everything you do. Check ducts and vents to be sure that air is able to circulate freely. Inspect your unit’s thermostat, making sure it’s working correctly. You may need to install a programmable thermostat, which can help in saving energy. A programmable thermostat lets you preset temperatures at different hours of the day, so your unit doesn’t work as much when you’re away from your building. Other checkpoints include inspecting the gas pressure, burner combustion and heat exchanger, in addition to checking the oil or gas connections to ensure that they aren’t dirty or damaged. Watch for any inconsistent air flow on your ducts. Check to see if there are objects that are blocking your vents because this can hinder air intake, causing your unit to work harder than it should. Look out for unusually high energy bills that don’t seem consistent with usage. Be aware of any obvious temperature variations between rooms in your building. Be suspicious that there could be problems with your HVAC unit when rooms in your building are cold and drafty. Examine your HVAC unit for any collapsed ducts or peeling tape. Be alert for any unusual noises or behaviors coming from your HVAC unit as this can be a warning sign that something is not working properly. If you ignore these problems, they could intensify and lead to even higher repair bills. Even if your HVAC unit seems to be working correctly, you should still have it inspected and cleaned during spring and fall. 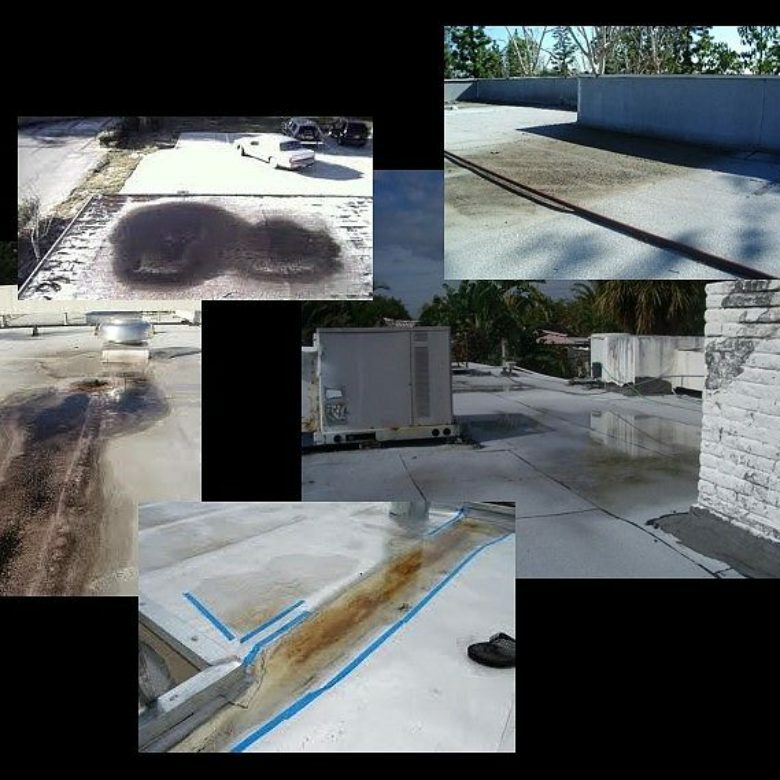 Ponding water and leaks on flat commercial roofs can be a nightmare. To prevent this problem, call the roofing professionals at RoofSlope. Please contact us and find out more about our product designed to prevent ponding water.